Gas fire suppression systems are innovative and can be uniquely designed to meet your building’s requirements. These systems are an effective way of dealing with electrical or Class B fires caused by inflammable liquids. places where valuables are stored. The system itself operates by using naturally occurring inert gases such as Argon, C02, FM200, Novec and Nitrogen. The release of these chemicals cause a reaction that removes enough oxygen from the room to suffocate the fire whilst remaining safe for humans to inhabit. The gases are stored in canisters away from the protected area so that room space is not affected. Humans only need 12% oxygen levels to be able to comfortably breathe. However a fire needs more than 15% to combust, signifying the effectiveness but safe methodology of this system. The inert gases that are used to smother the fire are of no concern, they are common gases abundant in the atmosphere meaning they are not dangerous at all if inhaled. 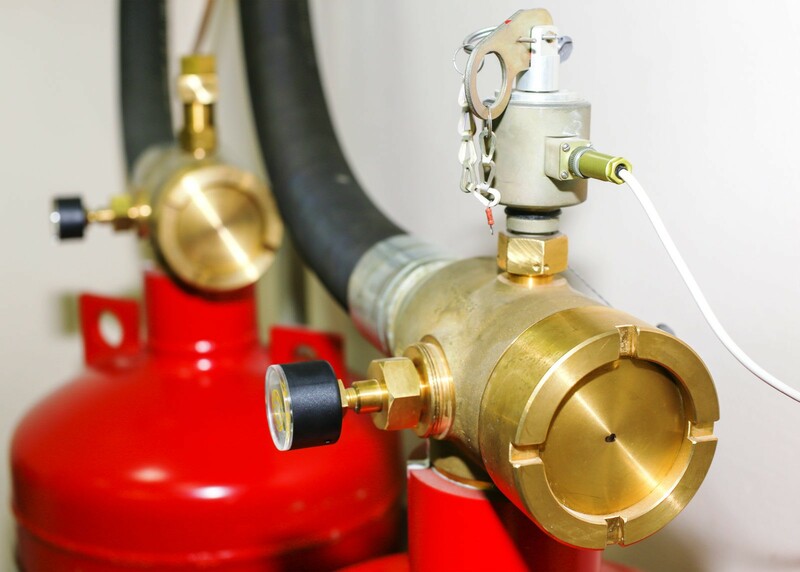 The gaseous fire suppression systems we install are supplied by leading manufacturers such as Kidde, LPG and FireTrade. If you would like more information on gaseous fire protection systems or would like to book a free survey please call our sales team on 01773 764 726 or complete the enquiry form.